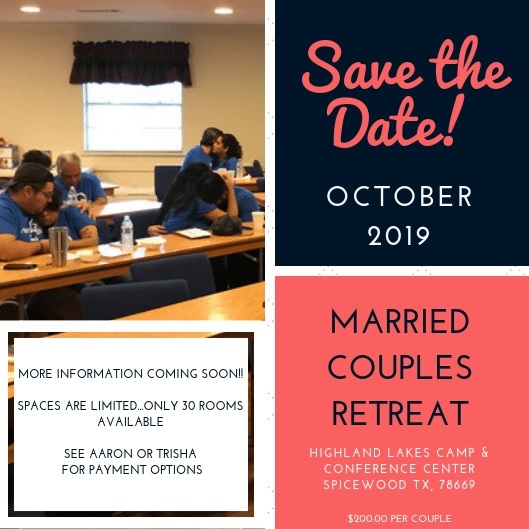 2019 Married Couples Retreat in Oct.
Join us for our annual Married Couples Retreat in Spicewood TX. This will be our second year at Highland Lakes Camp. It has wonderful amenities for you to enjoy during our stay. Sign up soon we have 30 rooms available to us this year and they fill up quick. Please see Aaron and Trish Alonzo if you are interested.